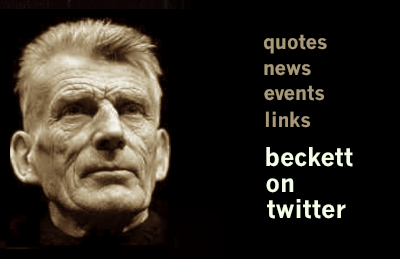 Samuel Beckett on Twitter: Poet, playwright and novelist Samuel Beckett now has a presence on Twitter. Follow him for daily quotes, news, events and links to online content. Enjoy! Why should we care about Immanuel Kant? Friedrich Nietzsche: Was Nietzsche the first psychologist?